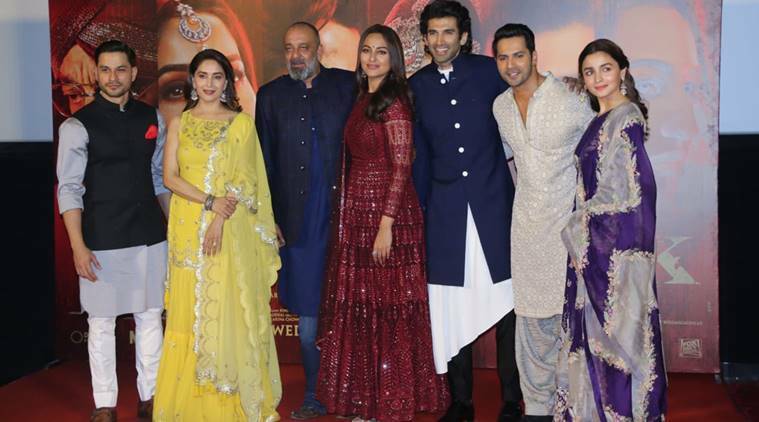 The cast of upcoming film Kalank gave us major ethnic fashion goals as they came together for the launch of the movie trailer recently. 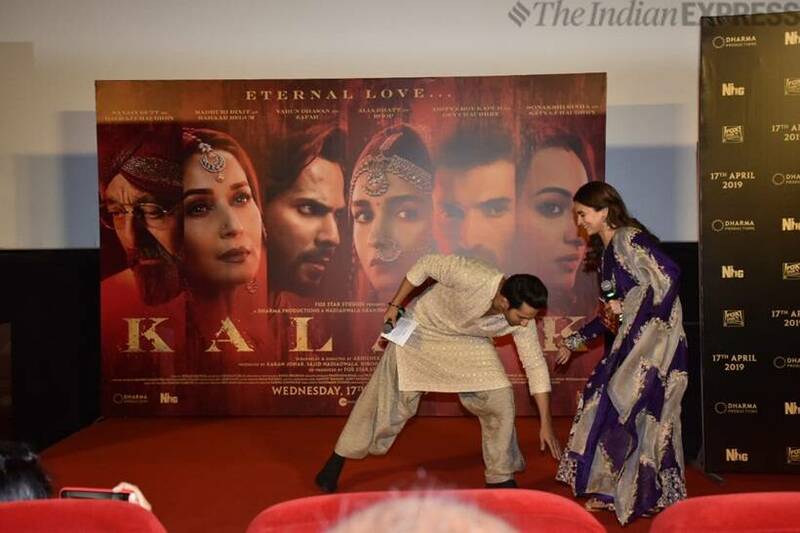 Actors Alia Bhatt and Varun Dhawan were in their element at the event which also saw the presence of Sonakshi Sinha, Aditya Roy Kapur, Kunal Kemmu, Sanjay Dutt and Madhuri Dixit. Keeping up with the theme of the movie, which is set in the 1940s, the actor were dressed in their ethnic best. The period drama will hit the theatres on April 17. Alia Bhatt looked lovely in a bright purple and cream anarkali suit with gold embellishes by designer Anamika Khanna. She kept her make-up minimal, and completed her outfit with a pair of jhumka-style earrings from Nora Jewels. Check some of the pictures here. Sonakshi Sinha opted for a deep maroon anarkali by designer label Falguni Shane Peacock. She styled it with a pair of silver earrings and a black bindi. The actor, who kept her hair open, carried off the look really well. Madhuri Dixit turned heads in a bright yellow sharara set which had gold embellishes all over it. She paired it with a pair of kundan earrings and styled her hair in loose curls. The leading men of the film also nailed the ethnic look, with Dutt and Kapoor spotted wearing kurta pyjama sets which were teamed with jackets. Dhawan too looked dapper in a heavily embellished kurta pyjama which was teamed with black footwear.